Porsche is taking the next step in its digitalization campaign: By opening a new site in Santa Clara, in California's Silicon Valley, Porsche Digital, Inc. is beginning its activities in one of the world’s most important centers of innovation and digital leadership. Above all, the aim is for Porsche Digital to work in partnership with innovators and leaders in new technologies, as well as cooperate with venture capital companies. Porsche also wants to invest directly in new companies that offer ideas and solutions for the digital future. Porsche Digital, Inc., the U.S. subsidiary of Porsche Digital GmbH, is set to employ around 100 people. Its mandate is to recognize digitalization strategies and trends in the U.S. market more quickly and to be able to develop and test solutions for Porsche – making its proximity to technology enterprises and start-ups of particular importance. The office will focus on the topics of digitalization, connectivity, and smart mobility. “The car is the ultimate mobile device of the future, and the future is being written in Silicon Valley,” said Thilo Koslowski, Managing Director of Porsche Digital. “This means it is particularly important to be right next door to leading IT companies in the USA, as this allows us to identify trends early and invest in new technologies at the right time. In addition to our own potential for innovation, above all we want to form strong partnerships.” The company has already invested in the venture capital fund “E.ventures US.” In the future, these activities will be intensified and expanded by the office in Santa Clara. After founding Porsche Digital GmbH based in Ludwigsburg, opening a U.S. subsidiary was the next logical step in Porsche’s digitalization strategy, said Koslowski. “In order to tailor the Porsche experience to the specific needs of our customers, we need to recognize the innovations that are relevant to us and bring them to the market as intelligent and fascinating offerings.” Before joining Porsche, Koslowski spent 20 years working in Silicon Valley for the high-profile US market research company Gartner. He is an expert in the automotive industry as well as the Internet and technology sector. Porsche Digital is the competence center for digitalization where new value creation models and innovative digital product ranges are defined and implemented in close cooperation with Porsche companies globally. Its tasks also include worldwide scouting; it will identify and evaluate trends, ensuring Porsche has access to all relevant technologies. Porsche Digital sees itself as an interface between Porsche and innovators all over the world. 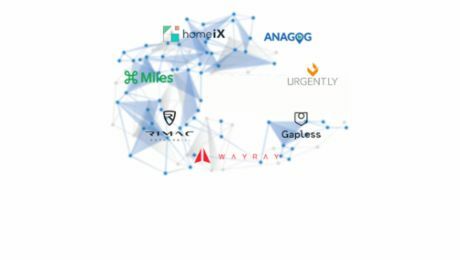 In addition to sites in Ludwigsburg and Berlin, and the new subsidiary in Santa Clara, there are plans to establish additional affiliates in key innovation centers around the world, such as in Asia. 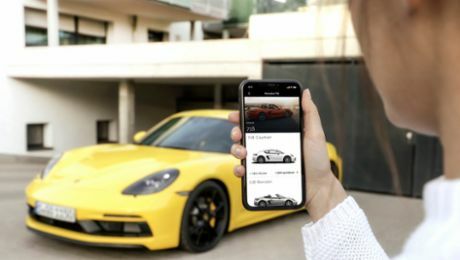 Porsche and the Munich-based mobility and FinTech company Cluno are now launching “Porsche inFlow”. How can machinery companies master the digital transformation? A study by Porsche Consulting identifies the key challenges.